More and more often ambitious students from all over the world come and study at one of the numerous universities in Buenos Aires. These students usually already posses a basic knowledge of Spanish, however, from our experience this level is frequently insufficient to actually follow academic lectures in Spanish. That’s why we, Elebaires Language School, developed a special Kick-Off Course Program to help university students get prepared for the Buenos Aires University life. We make sure the student feels at ease speaking Spanish before the commencement of the academic year. We also give an introduction to academic writing and help the student in his or her contact with the concerning university administration. To ensure that international students are ready to take on University studies in Spanish, Elebaires offers an intensive Spanish course of 4 weeks before the semester. This course will not only prepare students for the language test that is required by the university, but also will help students adapt into the Spanish of Buenos Aires and Argentine culture which creates the successful immersion into the university life and social development of the city. The intensive program at Elebaires consists of 4 hour daily, group lessons. 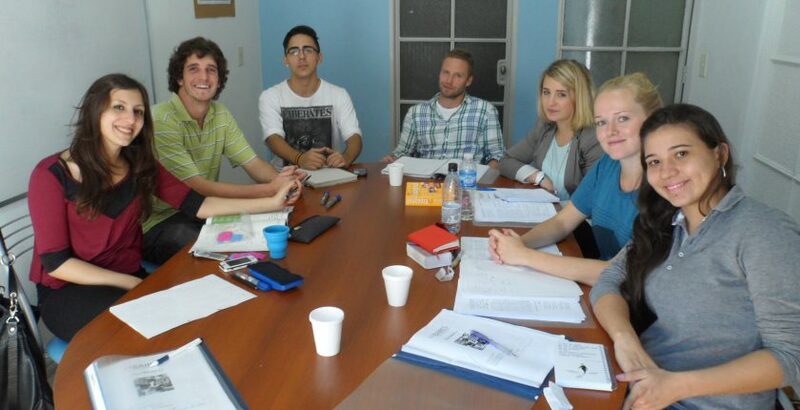 The six-month program combines intensive Spanish courses in preparation for an unique study abroad opportunity with the University Abierta Interamericana including cultural activities, weekly workshops on specific topics, field trips during the weekends and the option to share daily life with local and foreign students in university housing. Students who undertake this program are getting the best of both worlds, university accreditation and the support and benefits of a private language institute. University courses are taught in Spanish for native speakers and an audience targeting Argentina. Semester program students may choose courses that interest them within the wide range of careers. In addition, students may also do internships or voluntary work in different institutions throughout the city which can be arranged by Elebaires. Ultimately, students will master a second language, contribute towards their career goals and have an amazing time doing it! Upon registering with Elebaires, we will provide students with information regarding possible internships that meet their criteria, interests and qualifications. Once they have chosen which internship they would like to participate in, Elebaires will arrange all the necessary documentation and set up an interview. 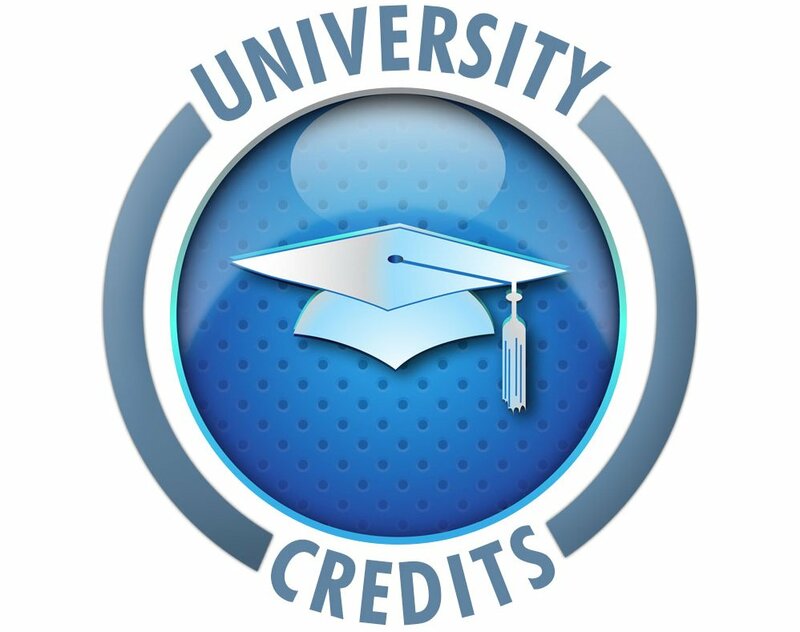 These internships have qualified for University credits in the United States and in Europe. Internships are available on a year-round basis and require a minimum commitment of at least one month with 15-20 hours of work a week on the part of the intern. The ability to read and understand spoken Spanish at an intermediate level is essential. Before or during the internship, students are required to enrol in an Elebaires Spanish Course for a minimum of two weeks. The UAI is a new university that was founded in 1995, but integrates the network of the institution VANEDUC which has a 50-year career dedicated to education at all levels. It currently has an enrolment of 22,000 students distributed across their numerous campuses. Although the number of students increases every year, one of the most important concepts at UAI is the personalized attention and the direct relationship between teachers and students. To preserve this quality, the courses have no more than 30 students per group. With regard to international mobility, each year, about 500 students from various countries pass through the halls of the University, therefore multiculturalism is another trait that characterizes life in the UAI. The class schedules are updated each year. This information is available before the start of each semester. Students must email the list of classes that they are interested in to the Elebaires coordinator, who will send the appropriate schedules. Who can apply for admission to this program: . Students who have a high intermediate level of Spanish or B2 according to the Common European Framework Reference. If the student does not reach that level, Elebaires will help them through the intensive courses and online courses. To apply, you must provide the following documentation before the deadlines specified for each semester. This information is in addition to what is required by the University. 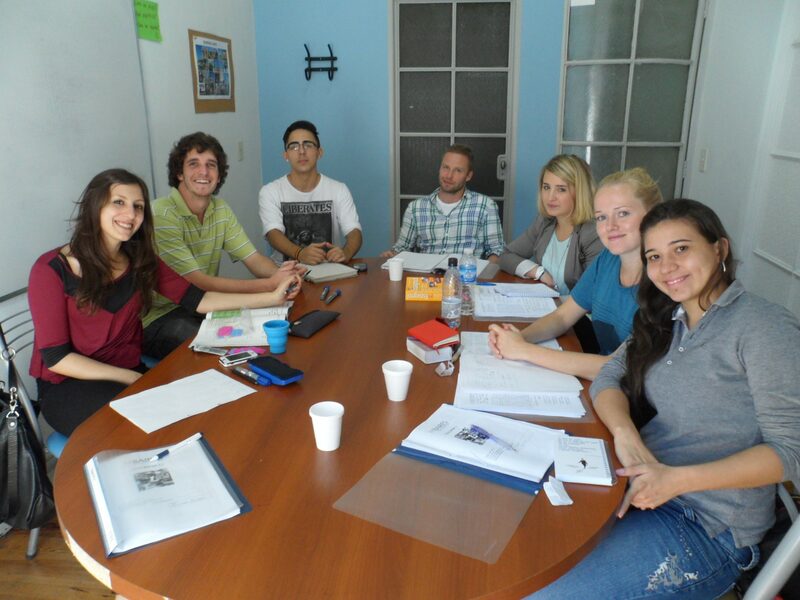 During the kick off intensive course and the semester at the University, students may stay in a university residence located a few meters from the UAI. Sharing daily life with students from different provinces of Argentina and other countries will allow more value and social opportunities to the academic experience. Each week, Elebaires Spanish School organizes cultural and social activities such as visits to museums or tourist attractions, conversation clubs, partying at bars and clubs, polo lessons, Argentine cooking classes and wine tasting. In addition, for the weekends they plan trips to Uruguay, Iguazu Falls, Mendoza, Cordoba and other parts of the country. Tariffs of mandatory immigration processing (temporary residence) to be held in National Directorate of Migration. For more information, the link for temporary residence has been provided. At the time of applying for the admission to the program, there is a processing fee non-refundable for the registration. The rest of the fees may be paid by cash, credit card or through bank transfer.